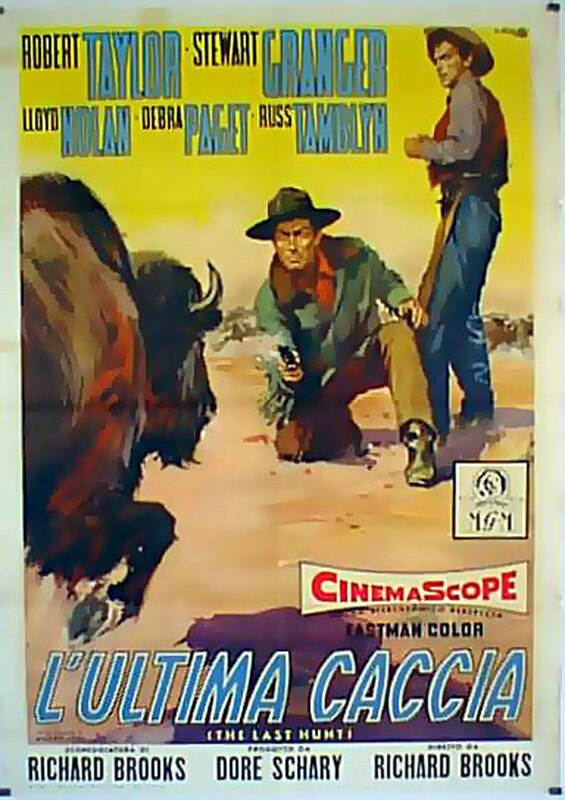 A psychological western set in 1883 in Dakota Territory, when the buffalo herds were mostly gone. Sandy McKenzie (Stewart Granger) is a former buffalo hunter whose modest herd of cattle is destroyed in a buffalo stampede. 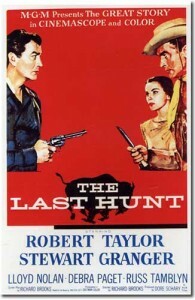 He is lured back to his former profession by Charlie Gilson (Robert Taylor), for a final go to make a stake to replace his herd. 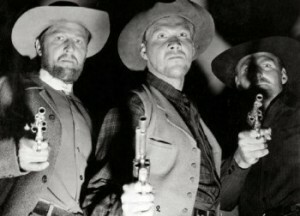 They take Woodfoot (Lloyd Nolan), a one-legged alcoholic buffalo skinner, and Jimmy O’Brien (Russ Tamblyn, as an improbable-looking Indian half-breed). As it turns out, Gilson is a killer who hates Indians. It’s obvious that Gilson and the decent McKenzie will clash at some point. 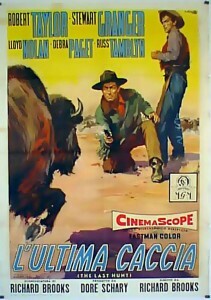 When it comes down to the hunting, Gilson gets spooked by the buffalo and comes to see McKenzie as the source of his problems. Debra Paget is an unlikely-looking Indian woman with a small child, acquired by the band when Gilson guns down three Indian males who steal their mules. 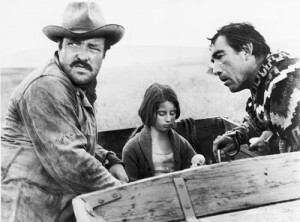 Gilson and McKenzie have conflicts over her and over a while buffalo skin they acquire in their hunt. [Spoilers follow.] 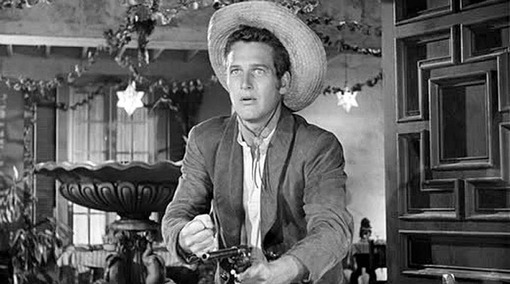 Gilson gets jumpier, more unreasonable and more unstable; he kills Woodfoot when Woodfoot tries to stop him from hunting McKenzie. However, at the end Gilson freezes to death waiting to gun down McKenzie. 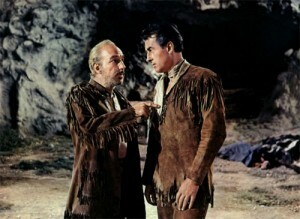 Woodfoot (Lloyd Nolan) warns McKenzie (Stewart Granger). Some of the attitudes here seem a bit anachronistic—more politically correct than they would have been in the 1880s, but certainly less so than in the current 21st century. 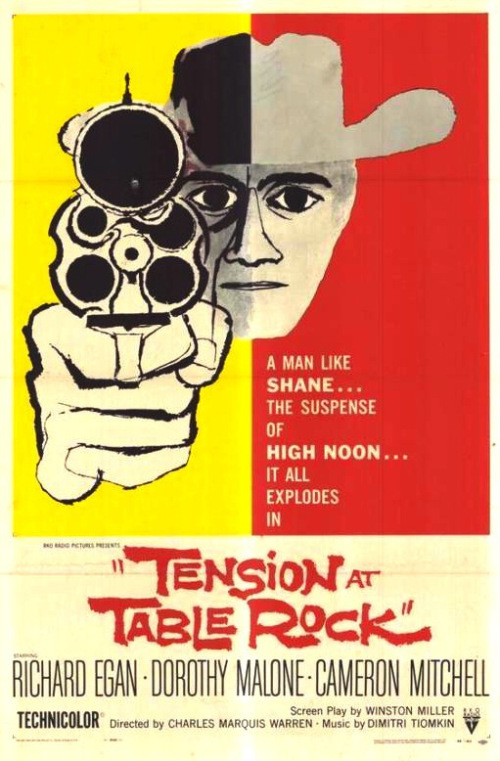 There is more angst and psychological disintegration here than in most westerns. Based on a novel by Milton Lott. Shot in color in South Dakota. For more Stewart Granger in westerns, see The Wild North (1952) and North to Alaska (1960). As the titles suggest, those are northern westerns set in northern Canada and Alaska. Late in his career he also moved into German movies adapting Karl May’s Old Shatterhand stories. 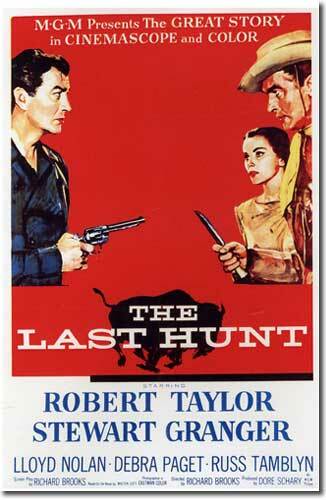 Robert Taylor starred in westerns from Billy the Kid (1941) to the end of his career in the late 1960s. 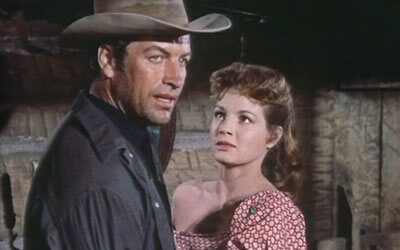 A couple of the best of them are Westward the Women (1951) and The Law and Jake Wade (1958). He often wore black, although he was seldom the bad guy as he was here. During the 1950s Debra Paget often played exotic ethnics, including several movies in which she played Indian maidens, as she does here. 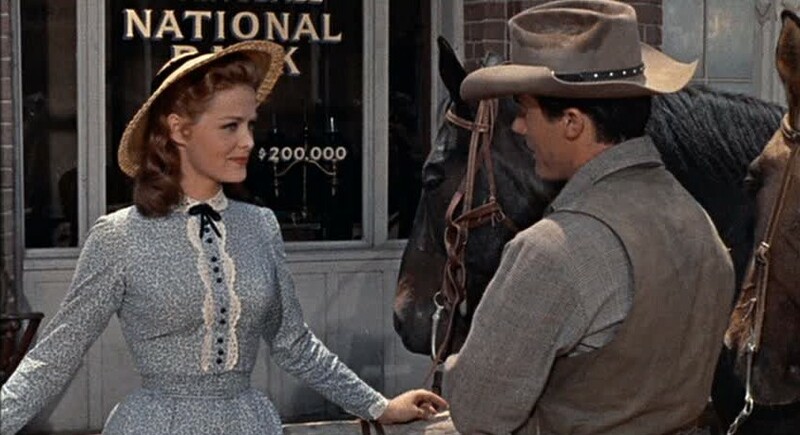 The first (and probably the best) such was Broken Arrow (1950), in which she plays a young Apache woman who marries James Stewart; she was only 15 when filming began on that one. 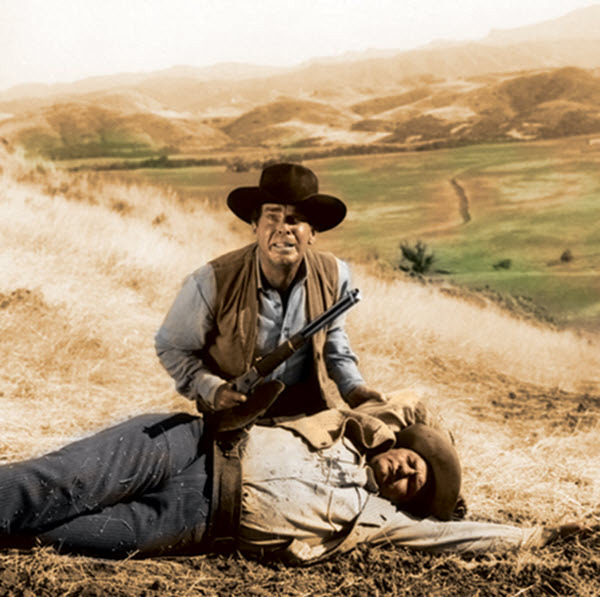 This entry was posted in Westerns Worth Watching and tagged Native Americans (Indians), Psychological Westerns, Robert Taylor, Stewart Granger on March 31, 2014 by Nicholas Chennault. 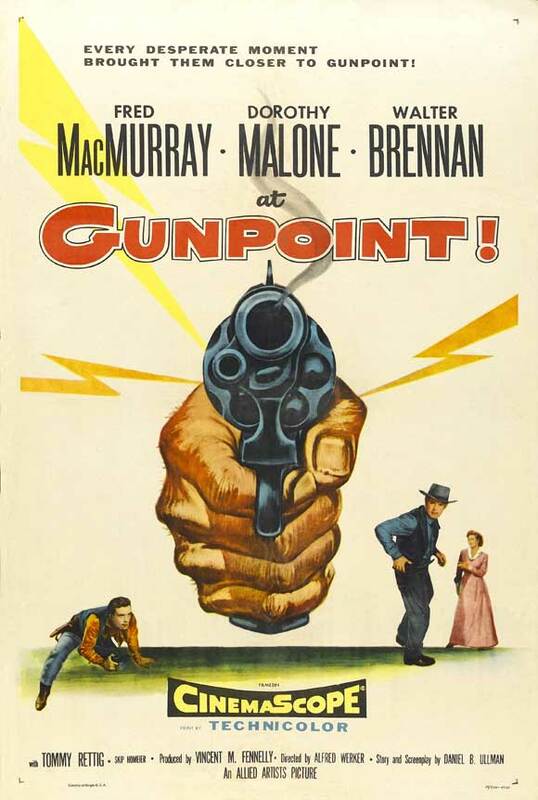 This psychological western has a pretty meaningless generic title, and it’s not as good a film as the westerns director Mann made with James Stewart. 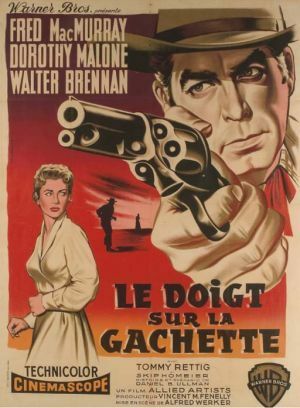 Except for the 1960 remake of Cimarron, this was Anthony Mann’s last western and the third of his post-James Stewart period (after The Last Frontier and The Tin Star and before Cimarron). 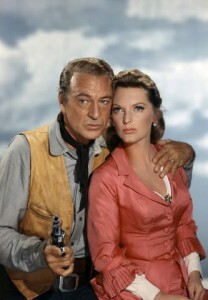 Publicity stills of Gary Cooper and Julie London from Man of the West. 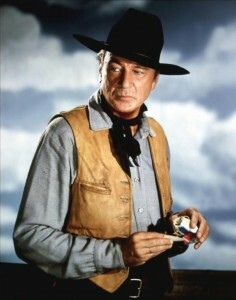 Gary Cooper was always watchable in a western, but he seems too old for the role he’s playing in this one. 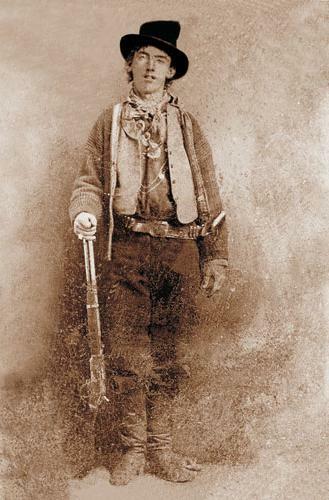 He’s Link Jones, a reformed outlaw in west Texas in 1874 on his way to Fort Worth to hire a schoolmarm for the new school in his town. An unsuccessful train robbery leaves Jones, saloon singer Billie Ellis (Julie London) and talkative gambler Sam Beasley (Arthur O’Connell) stranded a hundred miles from anywhere. 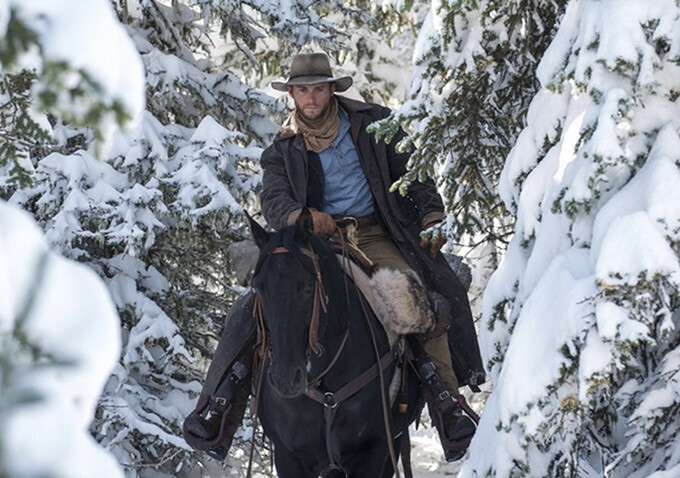 Jones used to know the territory, and they hike to an apparently abandoned ranch. 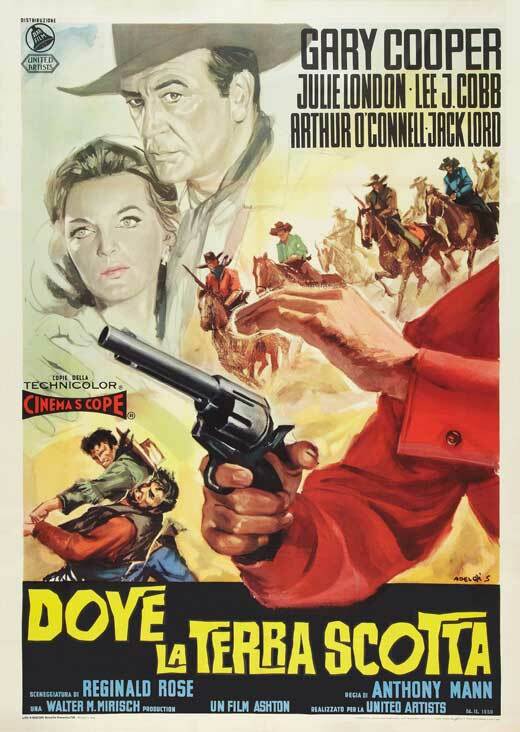 It’s not abandoned but is being used for the moment by the Dock Tobin gang with which Jones used to run and which pulled the botched train robbery. 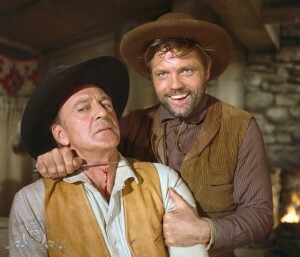 In fact, Tobin (Lee J. Cobb) is Jones’s uncle, and the two most effective members of the gang are Jones’s cousins Coaley (Jack Lord) and Claude (John Dehner). The others are the mute Trout (Royal Dano) and Ponch (Robert Wilke). 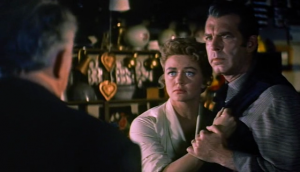 Jones, who’d abandoned the gang a decade earlier, makes like he intends to rejoin them and tells them that Ellis is his woman (although he actually has a wife and two kids back home in Good Hope). Tobin wants Jones back, but he’s just barely in control of this gang of brutal scumbags, and the rest of them aren’t at all sure of Jones. The two most disturbing scenes are when Coaley makes Ellis strip while holding a knife at Jones’ neck, and later when Jones beats the crap out of Coaley and rips Coaley’s clothes off in retaliation. Tobin seems to see Link as a more capable successor than either of his own sons, and they both resent it and don’t trust him as much as Tobin is inclined to. 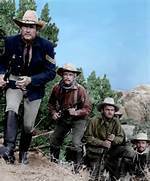 Jones joins the gang for a bank robbery in what turns out to be a ghost town now, and he kills Trout, Ponch and Claude, one by one. 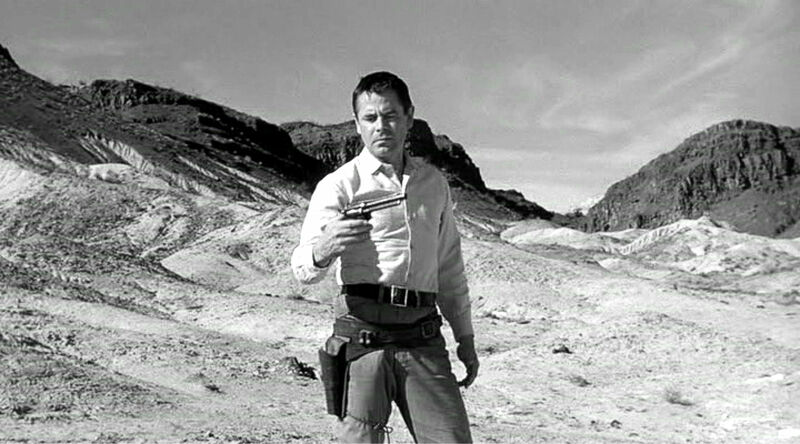 Returning to the wagons, he finds that Ellis has apparently been raped by Dock, and Jones and Dock have it out. At the end, Link and Ellis set off for civilization, Link with his town’s money back and the gang all dead (and Link’s unsavory past with them), and Ellis in love with Link but knowing there’s no future in it. 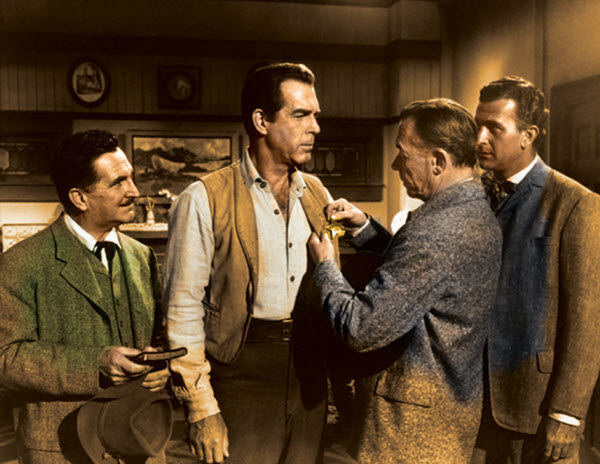 Link (Gary Cooper) and Dock (Lee J. Cobb) talk about the past. Some would draw parallels between Link Jones and Clint Eastwood’s character William Munny in Unforgiven. Both have a past filled with outlawry and violence, from which they have moved on to a life of law-abiding peace. 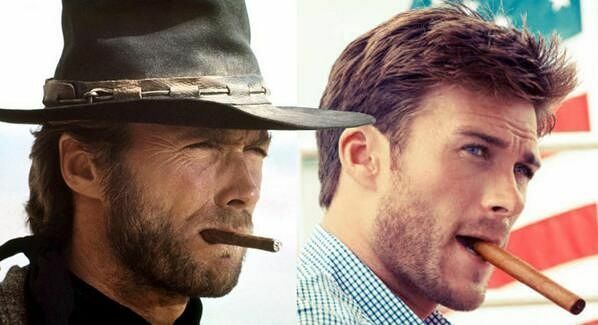 Both are called back to their old skills early in the movie and must use them to accomplish what needs to be done. But Link goes back to his peaceful life when he’s done; William Munny never can. It’s kind of a bleak western. Cobb wears an unconvincing hairpiece and seems distracted and half-crazed for much of the movie. Dano, being mute, has no lines, and Ponch very few. 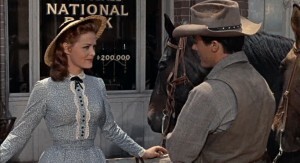 Dano and London were in Saddle the Wind the same year. 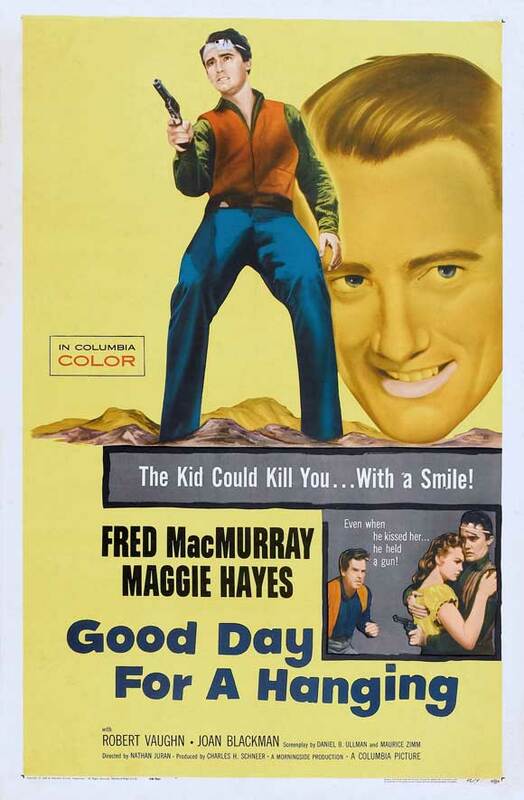 This movie was not a critical or commercial success, blamed in part on Cooper being too old for the part. 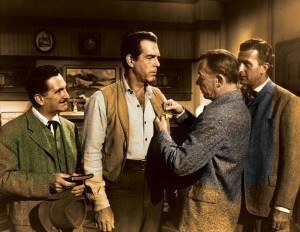 (Cobb, playing his supposed uncle, was in fact ten years younger than Cooper.) The fight with Coaley is not entirely convincing, partly because of Cooper’s age and physical limitations. French critics liked the film, though. 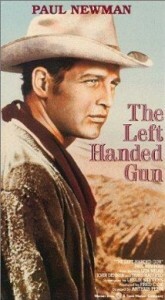 Adapted from Will C. Brown’s novel The Border Jumpers. In color. 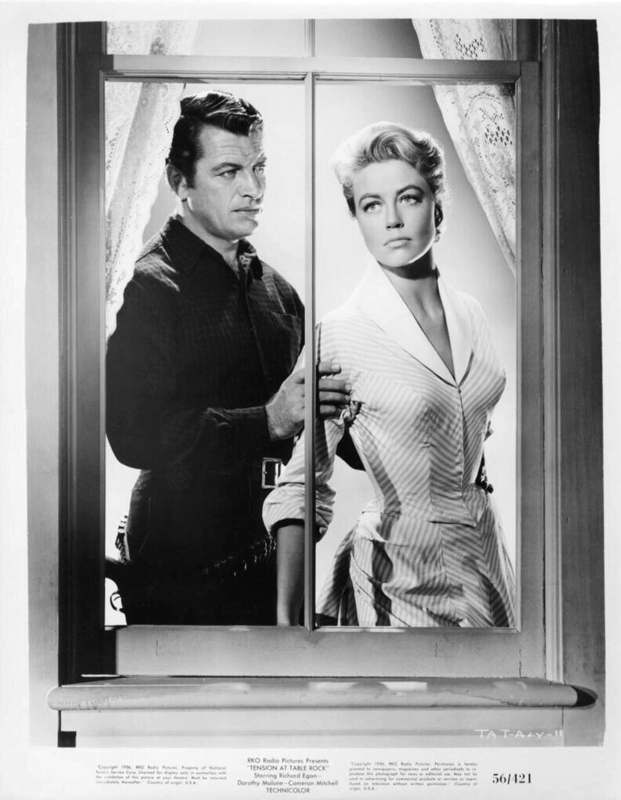 This entry was posted in Westerns Worth Watching and tagged Anthony Mann, Gary Cooper, Julie London, Psychological Westerns on January 1, 2014 by Nicholas Chennault. 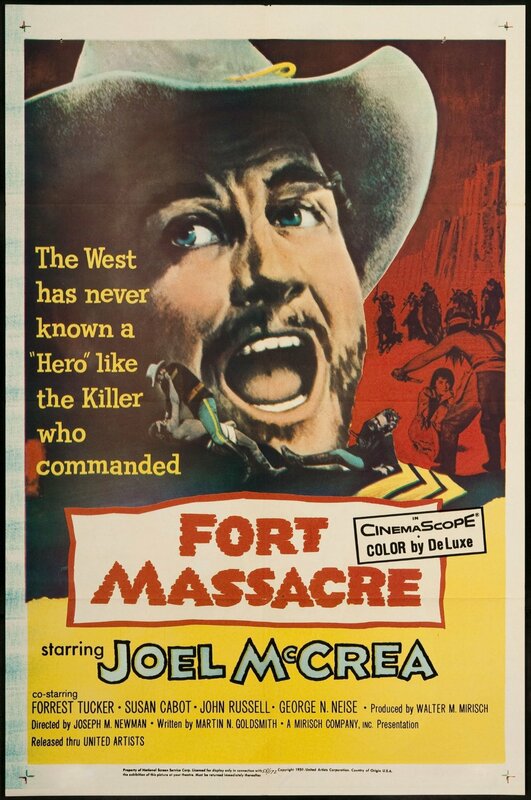 Lead William Conrad doesn’t show up in these posters at all. 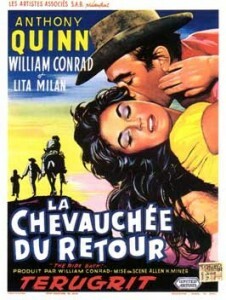 The American posters show the title with an exclamation point that doesn’t make much sense: The Ride Back! You don’t usually see it that way, though. 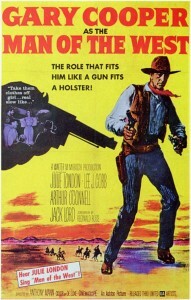 This film is an example of why the 1950s could be such a good era for westerns. 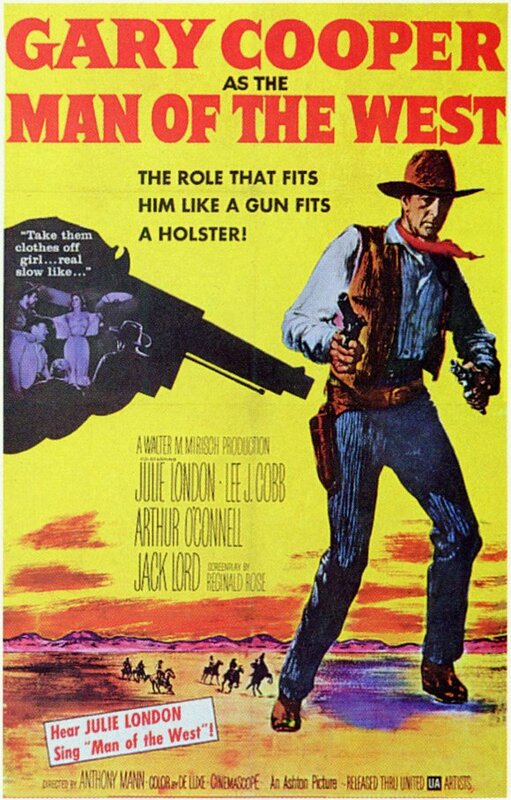 They were so strongly in fashion that stories that could have been in other genres got made as westerns. This is a small story with a small but excellent cast and good writing. 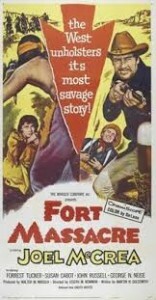 The moving forces behind it seem to have been lead actor and co-producer William Conrad and co-producer Robert Aldrich. For current audiences, the balding, thickset Conrad seems an unlikely choice for a leading man. For several years he had played Marshal Matt Dillon on radio in Gunsmoke, and his deep voice was very recognizable. 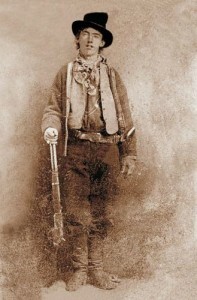 Here he is Chris Hamish, a deputy sheriff from Scottville (Texas? 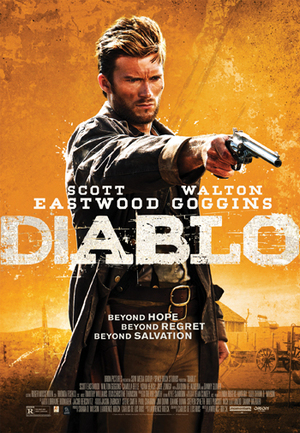 ), who as the movie opens is in Mexico with a warrant for Bob Kallen, a half-Mexican gunman wanted for two shootings in the U.S. With the help of a priest, Hamish finds Kallen in a small village living with a girl who is related to the priest. 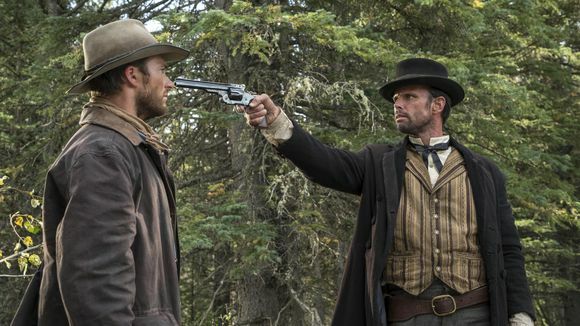 He takes Kallen prisoner, although Kallen is open about the fact that he thinks he’s better with a gun than Hamish and plans to get away. 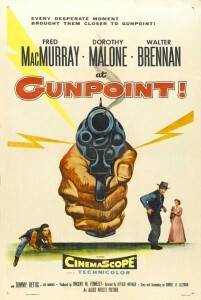 Hamish agrees with him about the gun skills. Some villagers show up and ask Kallen if he wants them to kill the man taking him away. For the moment, he says no. As they camp the first night, Kallen’s girl catches up with them and tries unsuccessfully to liberate him. He sends her home. They see some drunken Apaches and the next day are attacked by them. 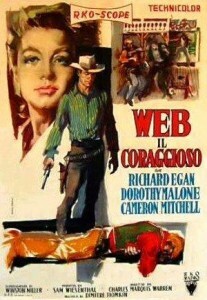 With only one horse, they take refuge in a house where they find two dead older women and a dead girl. 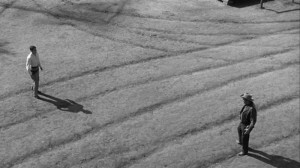 They bury them and encounter a twin sister of the dead girl, who witnessed the slaughter and is apparently mute. Pursued by the Apaches, they take her along. 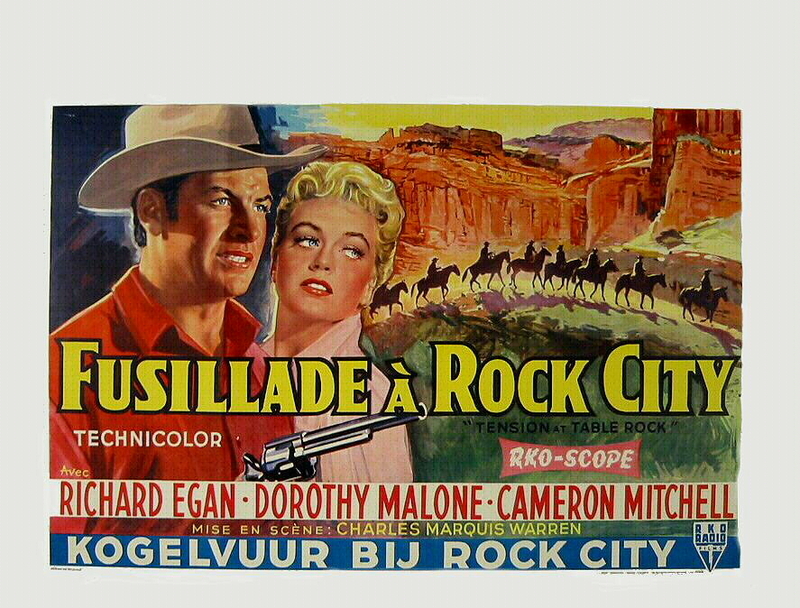 Once back in the U.S., they are about a day from Scottville, with only a lame horse. Kallen and Hamish have come to know a bit about each other. Kallen thinks he has been unjustly accused in the shootings and won’t get a fair trial. He is good with people; the mute girl much prefers him to Hamish. It comes out that Hamish’s wife can’t have children and hates him, and he considers himself a failure. That’s why he’s so adamant about bringing Kallen in—the accomplishment of that task will show that he can actually do something. He could have been jealous of Kallen’s people skills, confidence and ability with a gun, but it seems that he comes to admire Kallen. Less than a day from Scottville, the Apaches attack them again. Hamish is wounded badly, and he gives Kallen both the key to his manacles and the gun before he collapses. Kallen polishes off the remaining Apaches. He takes advantage of Hamish’s weakened condition to take the horse and head back for Mexico. But as Hamish lies delirious on the ground with the girl helpless to do anything for him, Kallen returns, helps Hamish onto the horse and the three of them move on toward Scottville. Pondering whether they can get back at all. This is a psychological western, a character study of both Kallen and Hamish, but especially of Hamish. 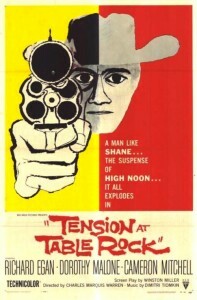 The movie is short, at less than 90 minutes, and it’s not long on plot. But it is effective. The shifting relationship of a captor and outlaw captive moving toward mutual respect might remind you of the original 3:10 to Yuma, made the same year. Shot in black and white at a time when the transition was being made to color, the cinematography is effective, with lots of low shots that include clouded skies. It didn’t have a large budget, and it didn’t make a lot of money, but it is good. 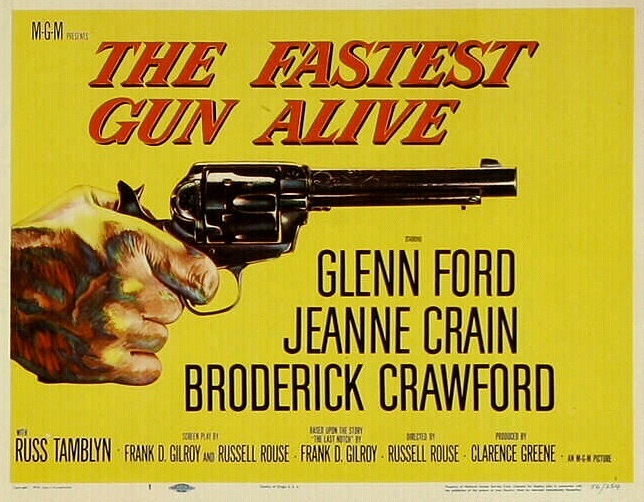 It got made because Conrad also played a role as producer. The dialogue is fairly spare, and both Conrad and Quinn are very good. This was a period when Quinn played several villains in westerns (Last Train from Gun Hill, Warlock), and he is excellent in all of them. Kallen is written more flamboyantly than Hamish, and Kallen shows some of the outlaw’s attractiveness. 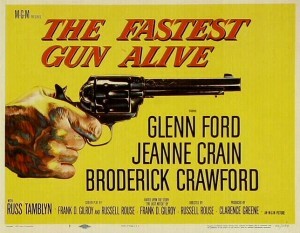 The credited director, Allen Miner, was ill during a significant amount of the shooting (ten days), and during that time the second unit director Oscar Rudolph took over, although he is not credited as director. 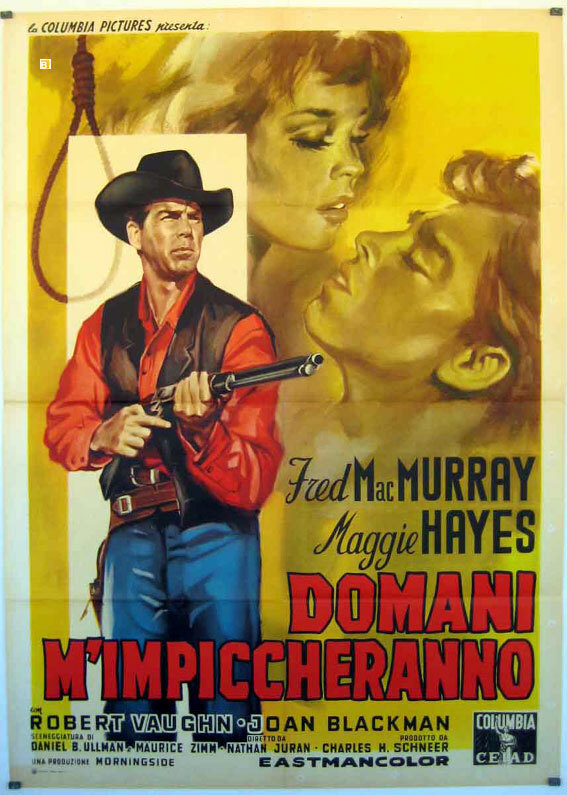 This entry was posted in Westerns Worth Watching and tagged Adventures in Mexico, Anthony Quinn, Manhunts, Psychological Westerns on November 7, 2013 by Nicholas Chennault.